Grew up with Asteras Ag. Dimitriou (Greece) youth teams. Signed for the 2000-01 season by Olympiacos Piraeus. Signed for the 2006-07 season by Olympia Larissa. Signed for the 2007-08 season by Olympiacos Piraeus. Moved to Spain for the 2009-10 season, signed by CB Malaga. Signed by Olympiacos Piraues for the 2011-12 season. Named the 2014-15 EuroLeague April MVP. Named the 2014-15 EuroLeague Playoffs Game 2 MVP. Named the 2015-16 EuroLeague Top 16 Round 6 MVP. 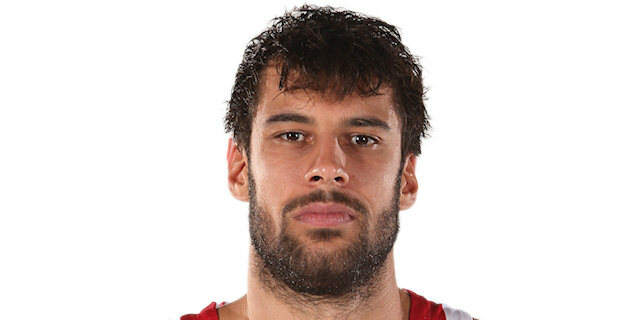 Named the 2016-17 EuroLeague Round 22 MVP. Won the 2011-12, 2014-15 and 2015-16 Greek National Championship with Olympiacos Piraeus. Played the 2007 and 2008 Greek All Star Game. 2007 and 2008 Greek All Star Game Slam Dunk Contest Winner. Has been member of the Greek U-16 and U-20 National Team. Played at the 2013, 2015 and 2017 European Championships.